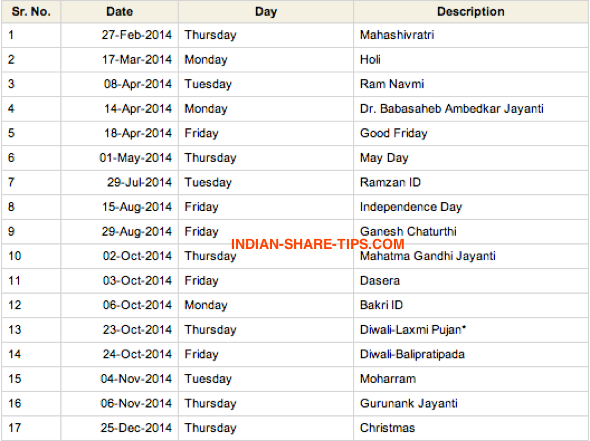 NSE Trading holidays are as shown in the below screenshot. This is an authenticated information as the data has been taken from the official website of NSE. You can view trading holidays 2013 for reference here.